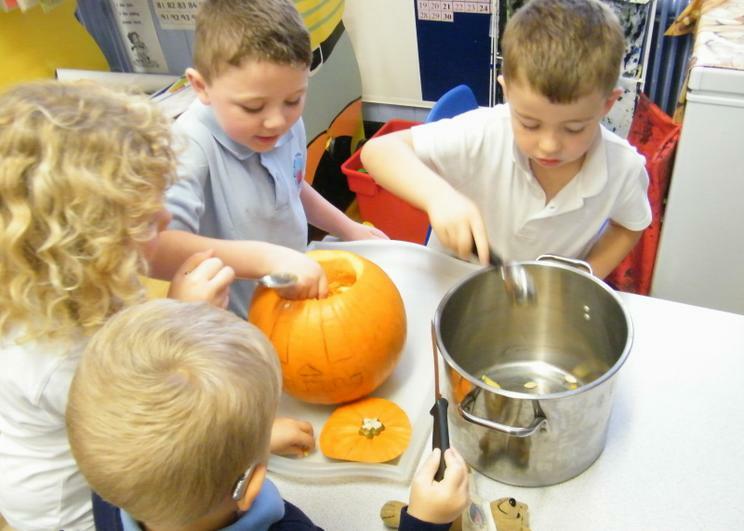 We had some lovely pumpkins left over from all the fun at Halloween. 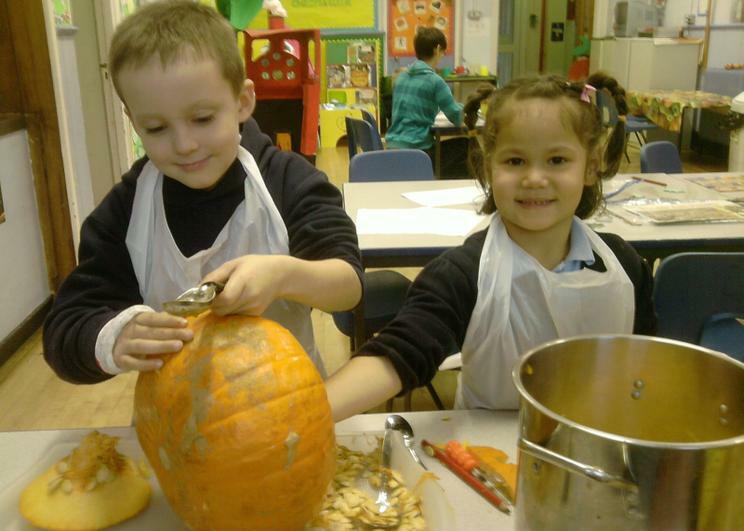 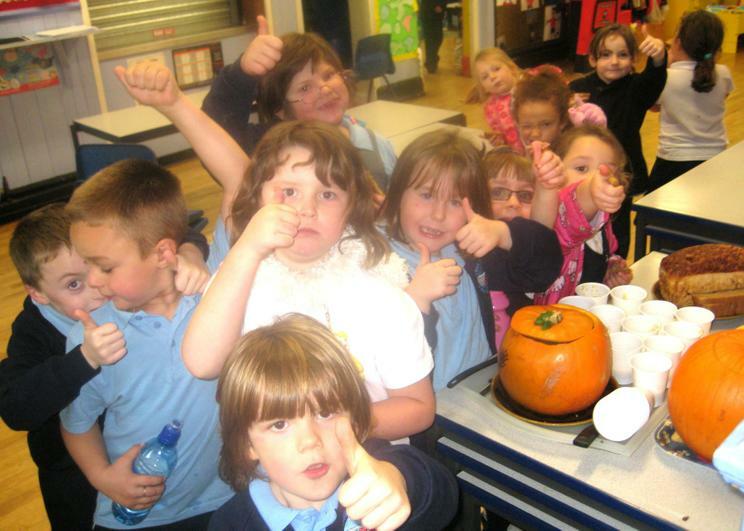 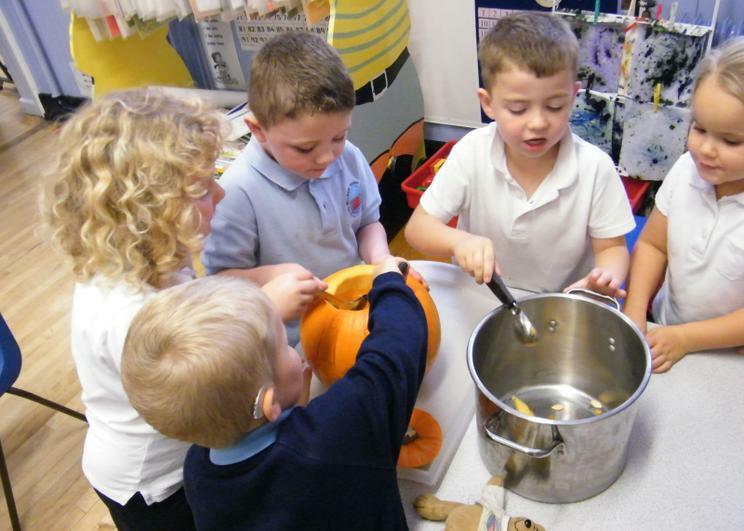 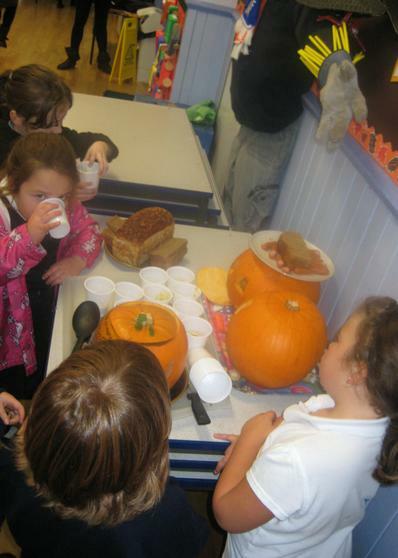 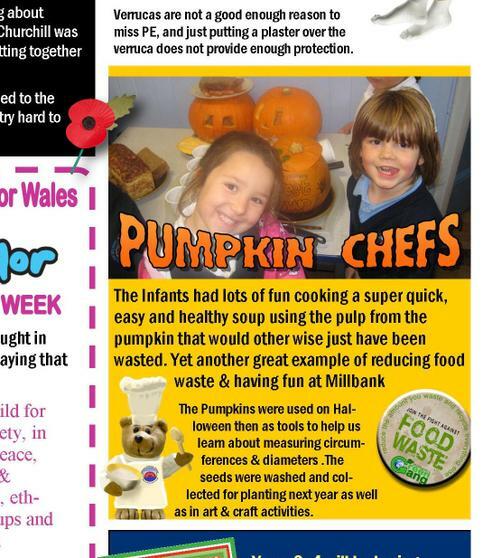 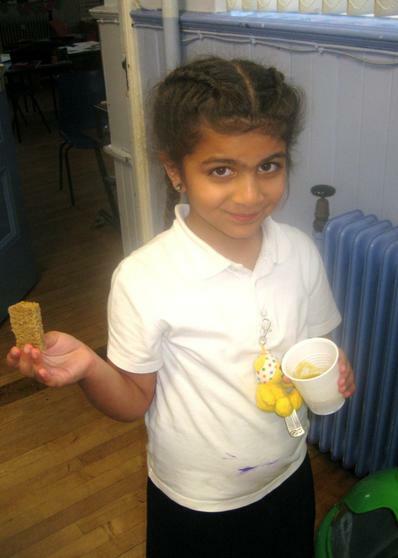 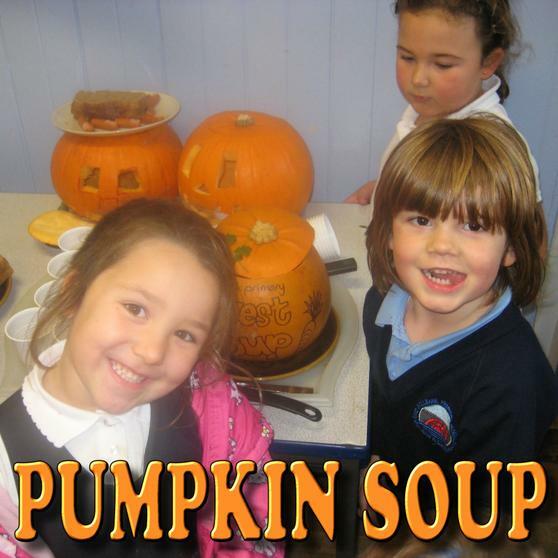 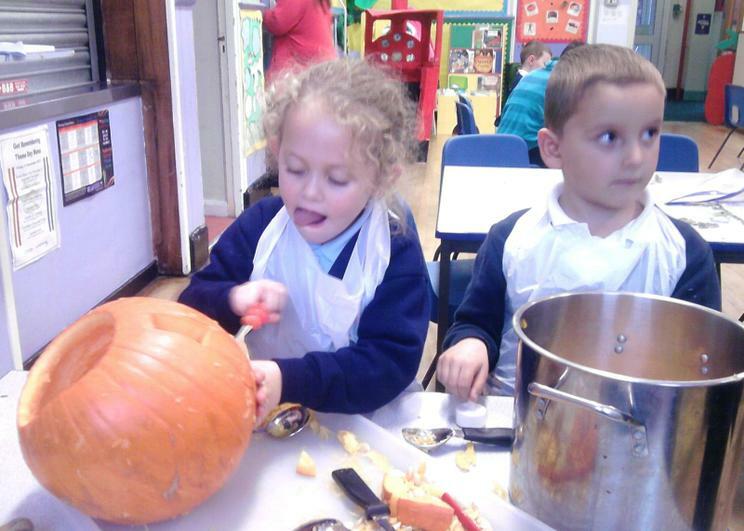 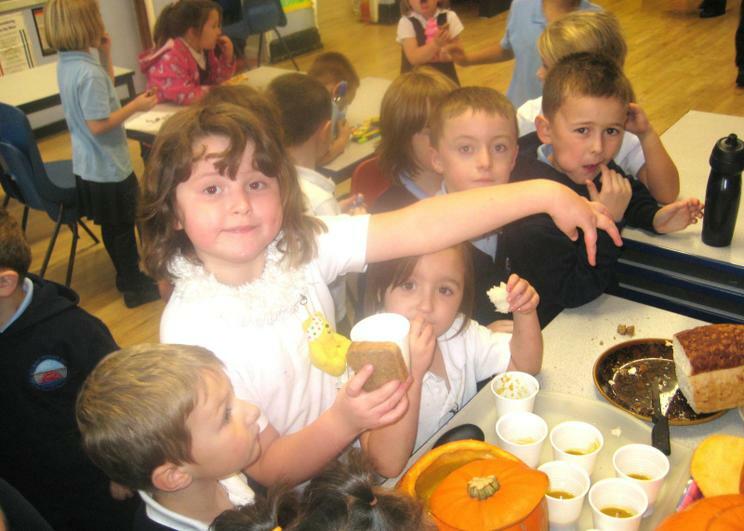 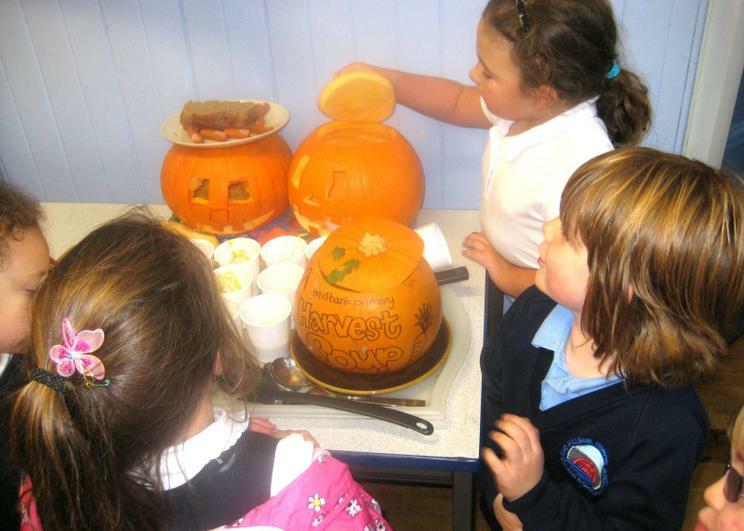 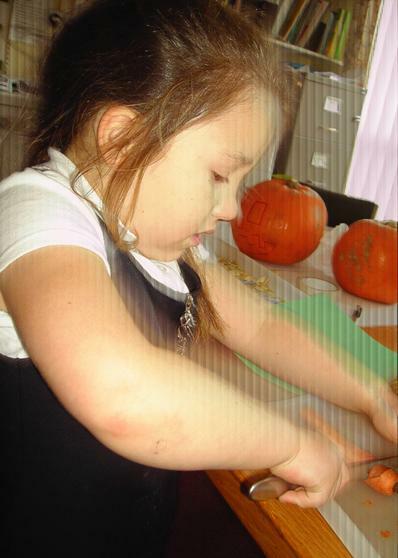 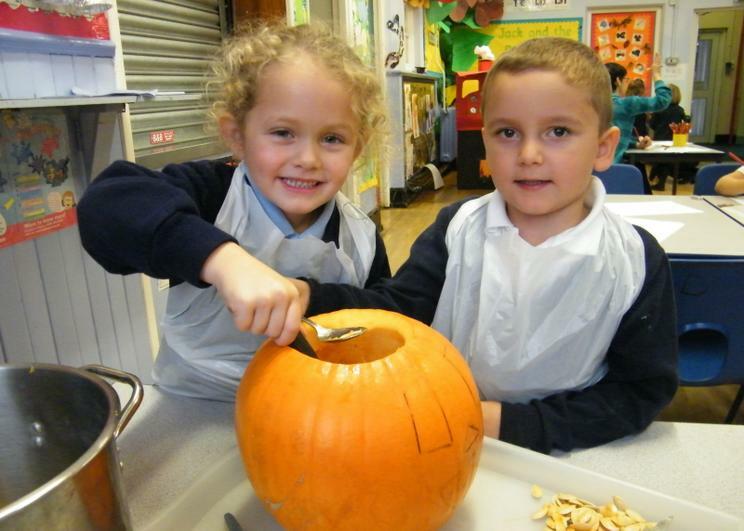 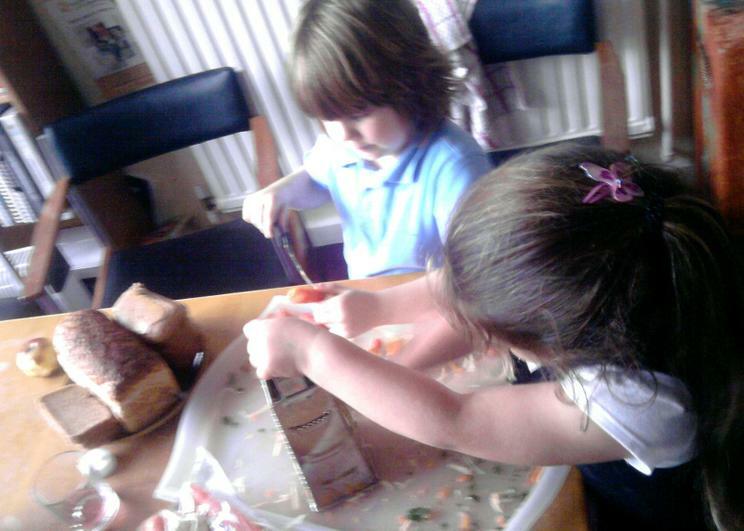 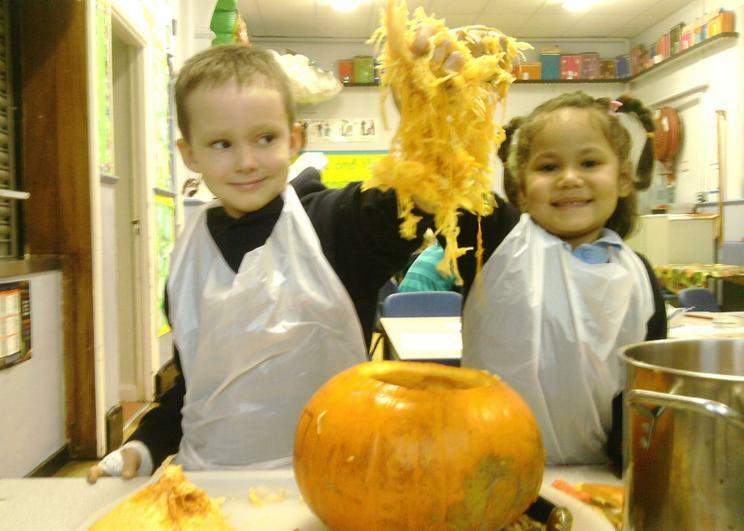 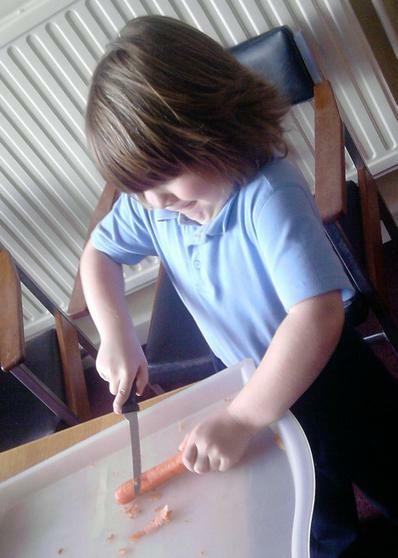 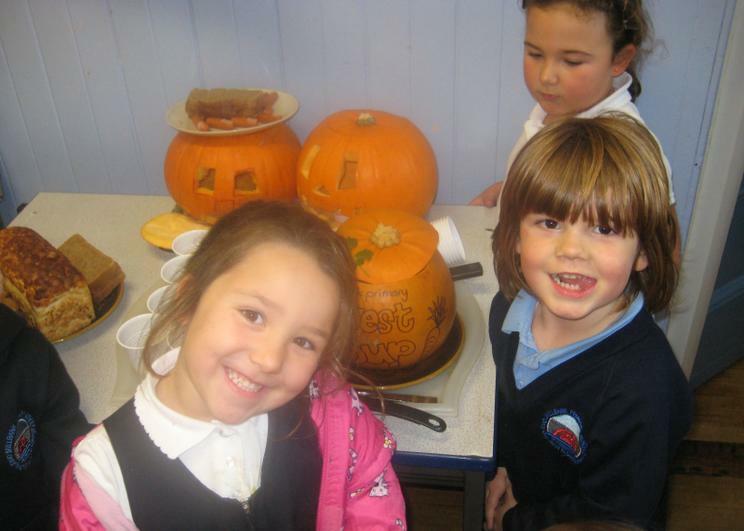 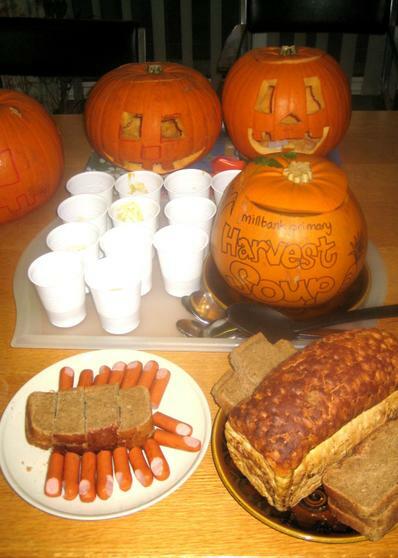 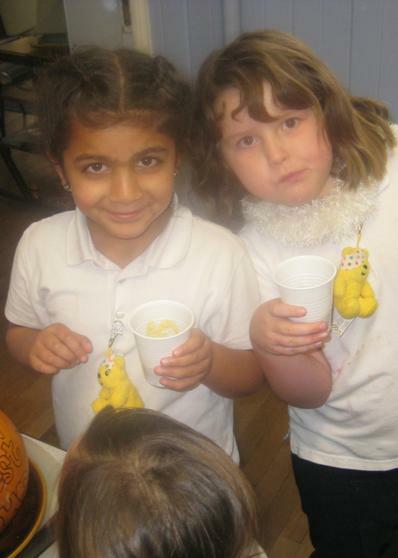 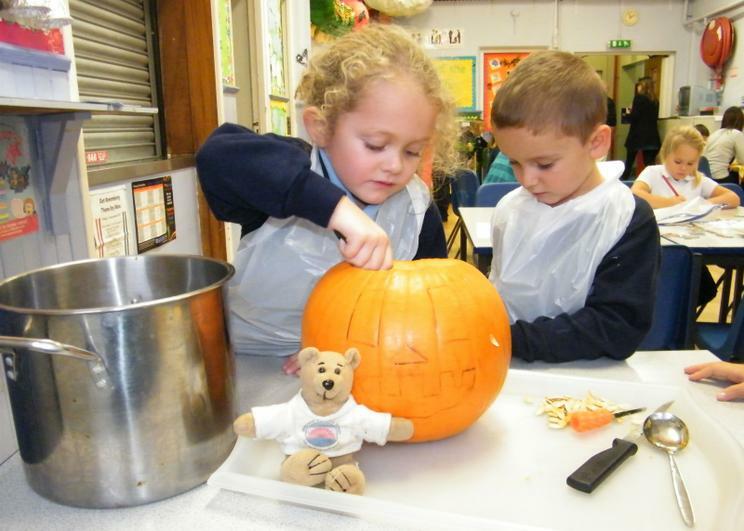 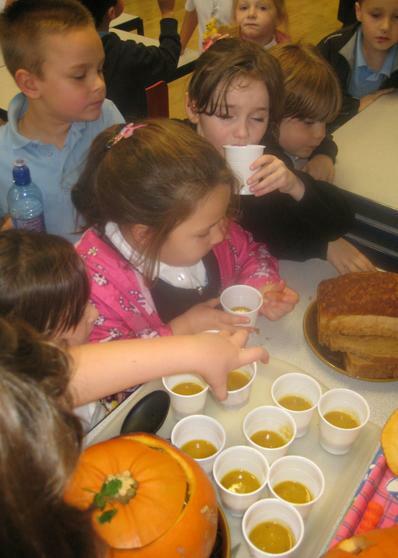 The children had been listening to Miss Allen talk about not wasting food and so they decided to make a nice pumkin soup with all the lovely flesh. 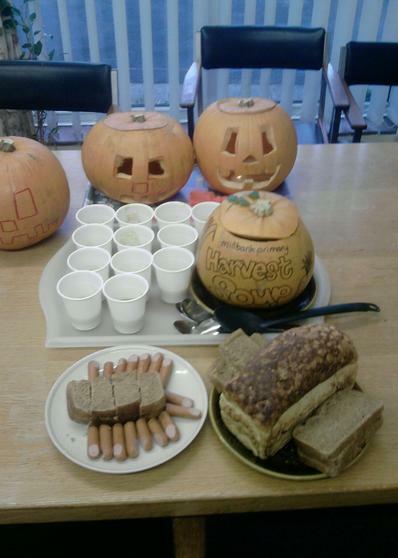 These pumkins were grown for carving rather than for being sweet and tasty like butternut and other squashes. 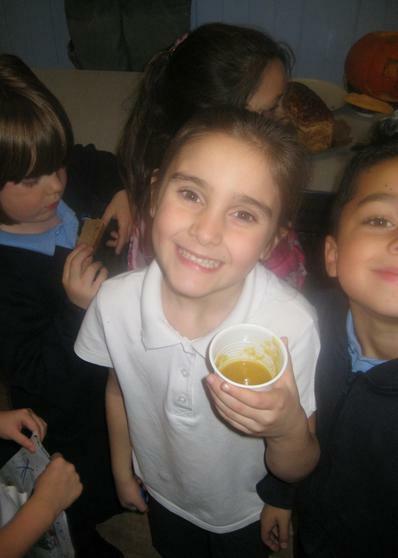 But it still made a lovely soup. 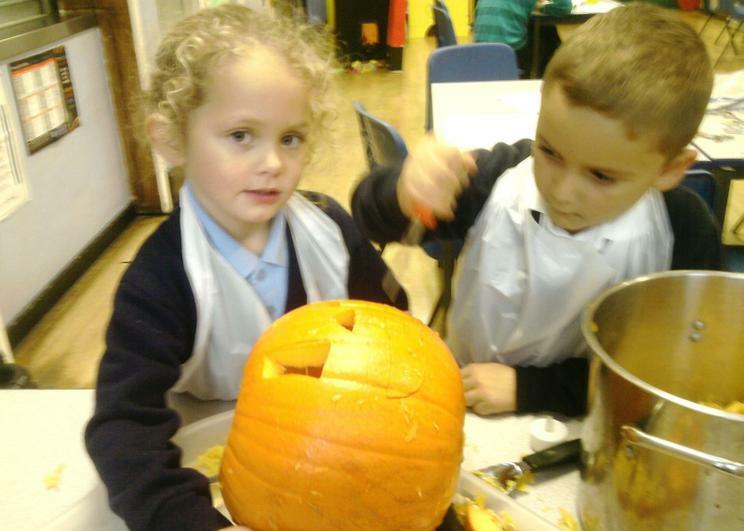 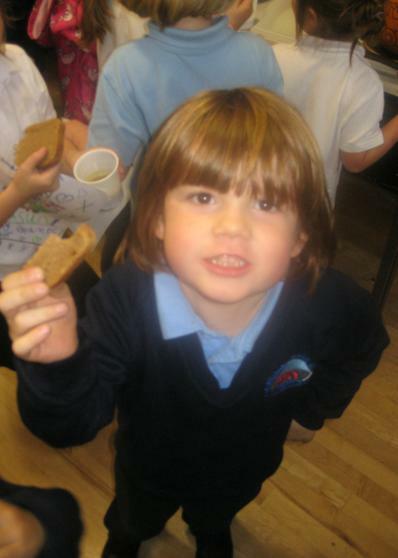 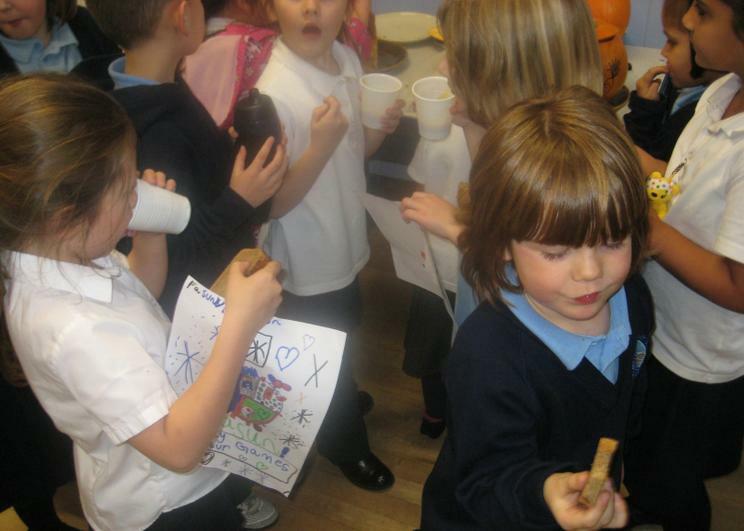 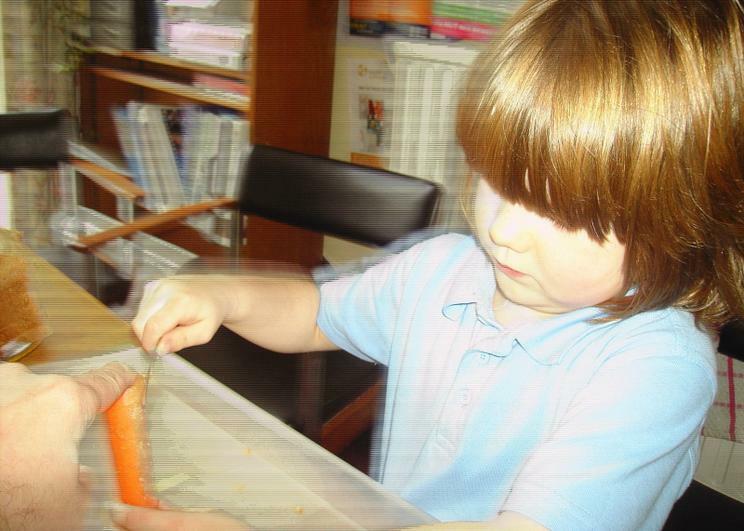 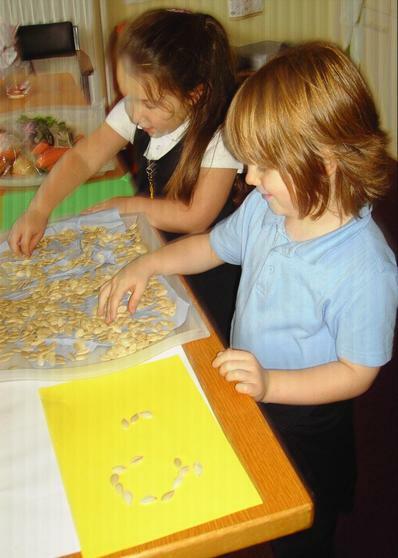 The children take a real pride in sharing and showing their work. 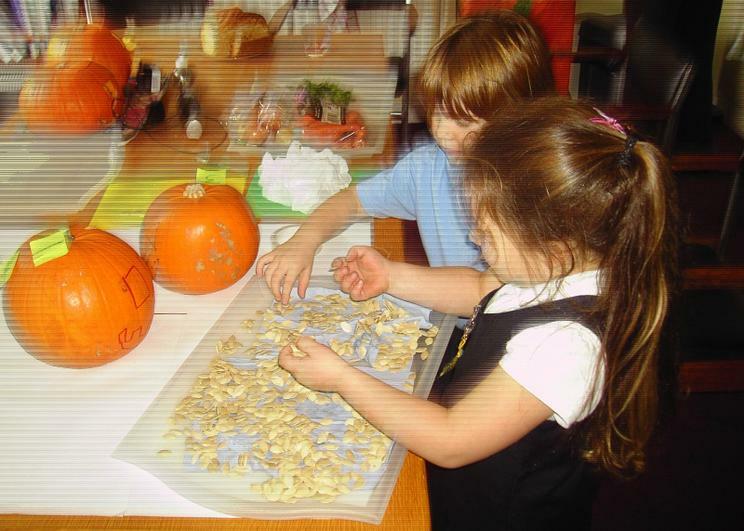 They carved the faces in the pumkins, collected the seeds to plant in spring and scooped out the flesh. 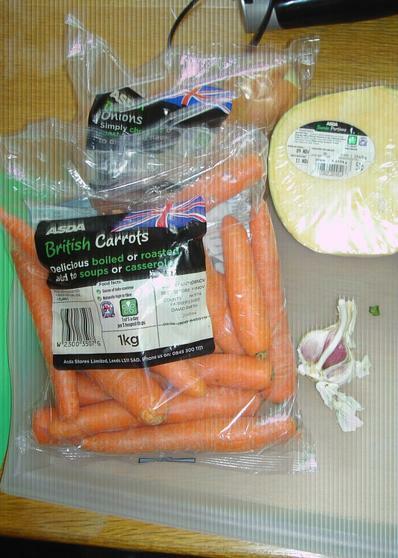 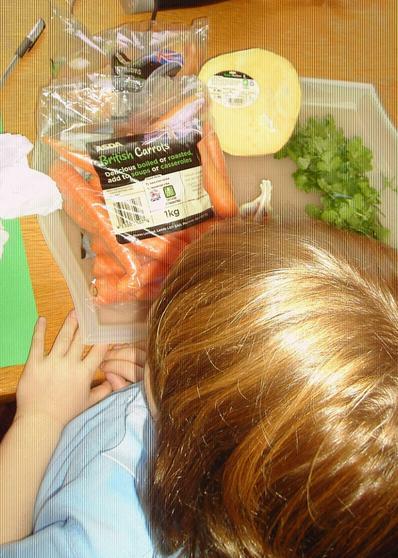 We listened to Green Gangs words about using local produce and tried to make sure all the vegetales we used carried the Red Tractor Logo or at least grown in Britain.